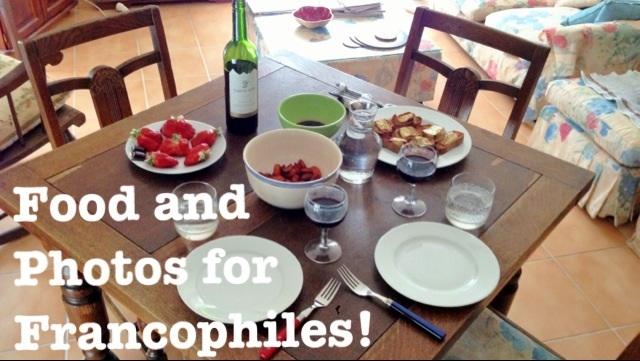 Food and photos for Francophiles: Fun with Vin! Today, we walked. everywhere. We started our day grocery shopping. Justin needed toiletries, and we needed bread. Grocery shopping was a learning experience. I wasted 10 euro on the wrong phone card, but that was the day's only tragedy. The most exciting part of grocery shopping? wine. So much good, cheap, French wine. I could spend days browsing the wine collection at our grocery store. I knew that the French have a huge wine culture, but I'm still in awe over the wine. We bought a small bottle of red wine that I can't pronounce (bear with me, it's 11:30pm here. Justin has the name in his post), and had it with dejeuner et dinner. After lunch, we walked. and walked and walked and walked. We also visited our first cafe. Justin accidently paid for my coffee (oh how we lament our language skills! ), and we both ordered an espresso. It was so good! Better than any espresso I have ever had! It was flavorful, strong, and a little earthy-tasting, but not overwhelming. Tomorrow, we're trying a restaurant that I found for lunch. It is 100% natural, organic, and local, and the menu is vegetarian. I'm really excited! Orleans is winning me over, and my French is slowly returning. Tomorrow is a big day, so I must go to bed!